Americans spend up to 90 percent of their time indoors, making indoor air quality an important issue. Ventilation systems are often the culprit in poor indoor air quality. Cleaning and inspecting your duct work and HVAC systems should be a priority for your home or business. If your HVAC has been operating for some time without attention, it could be circulating odors, dust, bacteria, and other contaminates. 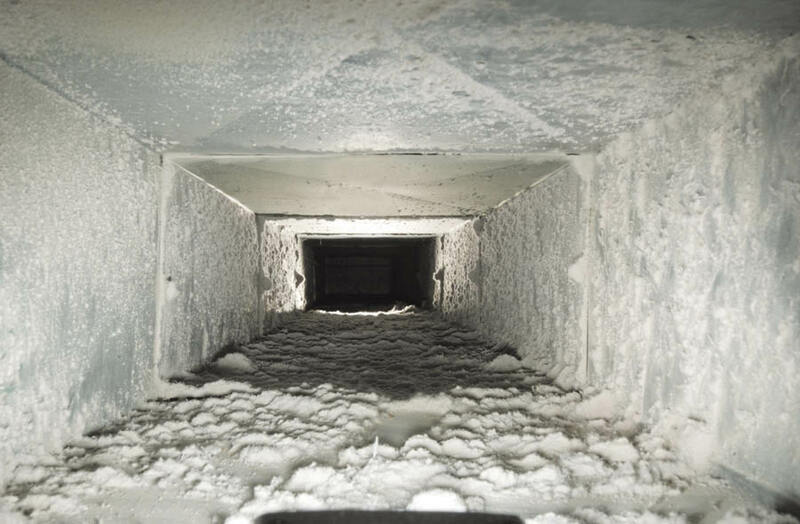 Freedom’s rule of thumb for customers is that “if your ducts look dirty, they probably are,” and that dirty HVAC systems should be inspected by a reputable, certified HVAC professional. Our HVAC inspectors conduct comprehensive examinations of components and systems to determine whether they are contaminated with a significant accumulation of particulate or microbial growth, or if HVAC performance is compromised due to contamination build-up. The role of our HVAC inspector is to assess the cleanliness and structural integrity of an HVAC system. Inspectors search for obstructions, excess moisture and microbial contamination in the HVAC system. Freedom Professionals will routinely inspect the heating, ventilation, and air conditioning unit (HVAC). Keeping them clean can extend the life of the equipment and in turn save you money. According to the U.S. Department of Energy, 25 to 40 percent of the energy used for heating or cooling a home/business is wasted. Contaminants in the heating and cooling system cause it to work harder and shorten the life of your system. Contact Freedom Restoration & Cleaning today at (800) 369-1006 or click below to get your inspection scheduled today!